Home » What is Preeclampsia? Preeclampsia, a condition that is characterized by high blood pressure during pregnancy, affects approximately 5 to 8 percent of all expectant mothers. 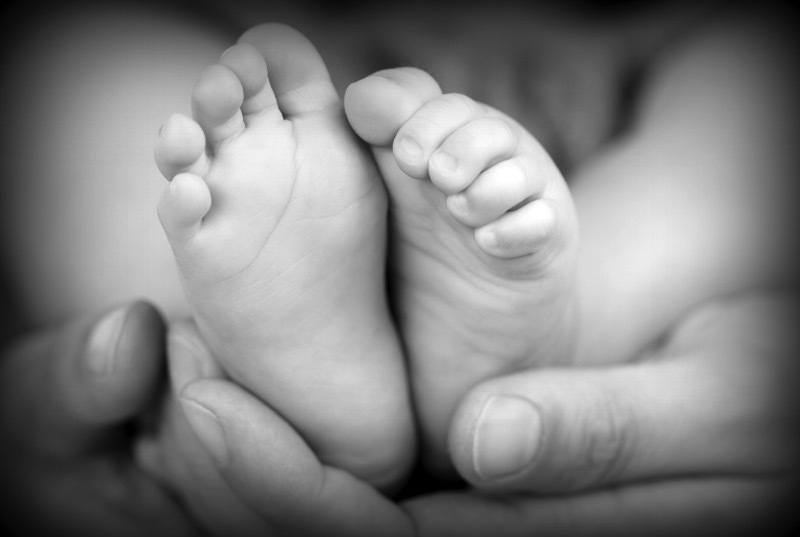 If left untreated, it can cause numerous complications for both mother and baby, including seizures or fatality. 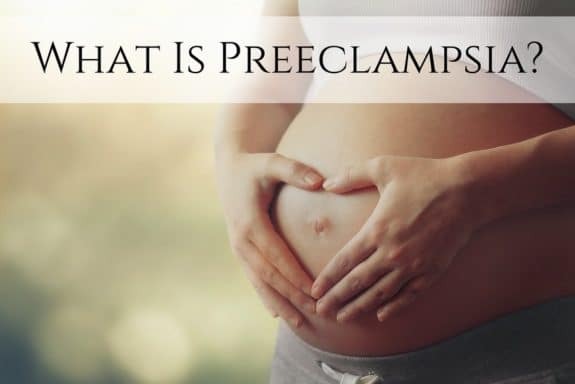 Learn more about this dangerous pregnancy-related condition, including its causes, symptoms, treatment, and risks, with help from the following information on preeclampsia during pregnancy. Although the exact cause of preeclampsia is unknown, experts believe it may have something to do with a reduction in blood flow to the placenta, perhaps during early pregnancy. Genetics, nutrition, weight, a history of diabetes or chronic hypertension, having a family history of preeclampsia, carrying multiples, age, in vitro fertilization, kidney disease, blood clotting conditions, autoimmune disorders, and other underlying conditions may also play a part in at least some (if not the majority) of all cases. Those who are at an increased risk may benefit from attending extra prenatal visits during the third trimester, so talk to your doctor if you have any reason to believe you may be at an elevated risk for developing preeclampsia. Nausea or vomiting during the third trimester of pregnancy. These symptoms can also increase in severity as the condition progresses. If you experience any of these symptoms, contact your OBGYN immediately, or go straight to the emergency room for an evaluation. At each prenatal visit, your blood pressure is taken and your urine is checked for various issues, including excessive proteins. If either of your test results are abnormal, your doctor may order additional lab tests. If those tests then indicate preeclampsia, your doctor will monitor you closely for any complications. You will also be provided with information on when to contact your doctor, or when to visit the emergency room. Listen closely to these instructions; they could very well save the life of you and your child. Preeclampsia causes the blood vessels of the placenta and uterus to constrict, which reduces blood flow to your baby. Ultimately, that can lead to poor fetal growth, not enough amniotic fluid, or placental abruption (separation of the placenta from the uterus). In addition, the baby may be at risk for premature birth complications if they must be delivered early to prevent serious complications from preeclampsia or its advanced condition, eclampsia. Treatment for preeclampsia typically depends on how far the disease has progressed, gestation stage, and the condition of both mother and baby. If the condition is diagnosed in the second or early third trimester and everyone seems to be doing well, your doctor may opt for careful monitoring. You may also be asked to limit your activities since blood pressure is typically lowest when you are at rest. In severe cases of preeclampsia, the mother may be either admitted to the hospital until she gets closer to the end of her pregnancy. Alternatively, if the baby has developed enough and either they or the mother are in distress, the doctor may induce labor. If there are signs to indicate that mom or baby will not tolerate childbirth well, a cesarean may be performed instead.